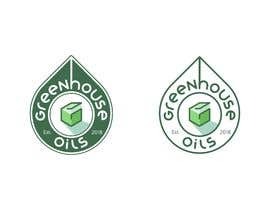 Looking for a cool crisp logo for an organic, natural health and wellbeing online store called Greenhouse Oils. The style can be anything from 'Neo Vintage' (examples attached) or 'Outline' (examples attached). The concept could feature an outline of a Greenhouse. For Outline logos, the text should sit within the greenhouse. For the colours -the logo should be green (please use a variety of greens, not just one block colour). We also need a Favicon jpg with the initials 'GO'. Also Screenshot 10.03.43 is our preferred style.